Selected Science News: DO THE BLIND HAVE A MORE ACUTE SENSE OF SMELL? An ongoing study by Mathilde Beaulieu-Lefebvre, a graduate student from the Université de Montréal Department of Psychology, has debunked the myth that the blind have a more acute sense of smell than the sighted. Vision loss simply makes blind people pay more attention to how they perceive smells. "If you enter a room in which coffee is brewing, you will quickly look for the coffee machine. The blind person entering the same room will only have the smell of coffee as information," says Beaulieu-Lefebvre. "That smell will therefore become very important for their spatial representation." "There is an urban legend that blind people have better smell than the sighted. We are proving this to be false," says Maurice Ptito, a professor at the Université de Montréal School of Optometry and Beaulieu-Lefebvre's thesis director. "However, the blind do set themselves apart when it comes to cognitive efforts." Using functional imagery, the team determined that the blind use their secondary olfactory cortex more than the sighted when they smell. 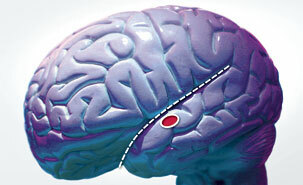 They also use the occipital cortex, which is normally used for vision. "That's interesting because it means the blind are recuperating that part of their brain," says Dr. Ptito. "We're not speaking of recycling per se, yet that part of the brain is reorganized and used otherwise." This research could lead to concrete applications in the re-adaptation of the blind. "For instance, smells are very peculiar in shopping centers," says Beaulieu-Lefebvre. "A hair salon, a pharmacy and a clothing store each have their own distinctive scent. We could easily foresee developing re-adaptation programs for getting around in such places."